Settled in 1653, Incorporated in 2005 - in self defense. 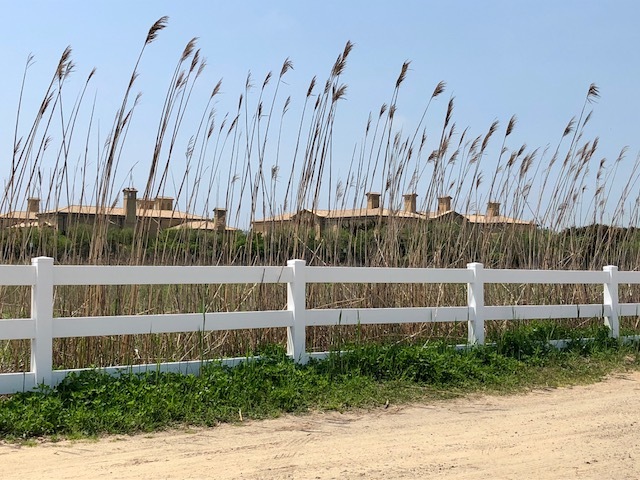 No, this isn't a post about the massive summer "cottages" here in the Hamptons (although that in itself is always a great tour). It's about a few more of the places to be found on our Selfie Scavenger Hunt of the Hamptons (SSHH) that was the subject of my last blog. 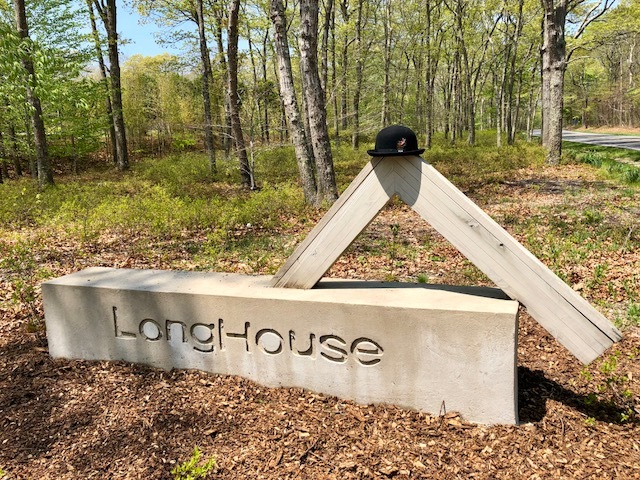 SSHH is our tour game highlights some of the cool and interesting places off the beaten path that aren't going to be found on some gossipy click-bait article titled "10 Top Things To See In The Hamptons (That You Can Then Brag About)." 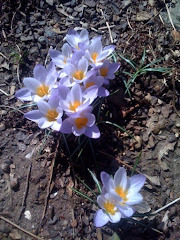 Today we're in and around the greater Bridgehampton area. So to begin, here's irony for you: The village that contains the largest house in the Hamptons also features the smallest of schools. 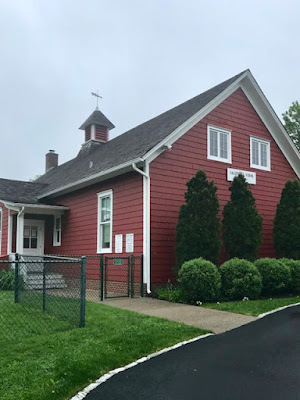 Tiny Sagaponack and its neighboring hamlet Wainscott each boast operational one room schoolhouses. Sagaponack School dates back to 1776, though its current building, housing 14 students in grades K-4 was built in 1885. Sagg School's earlier structure, constructed in the early 1800s was moved to Wainscott, where it still is in use for its 20 students in grades K-3. Yep, that's one house. 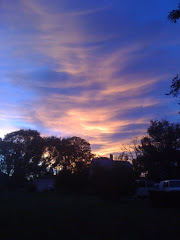 The rough unpaved road is intentional. 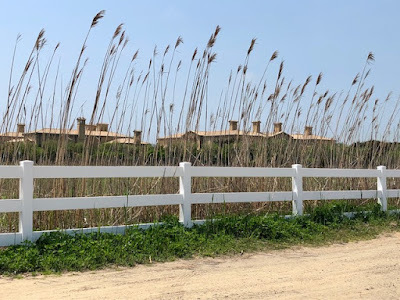 Sagaponack School's original 500 square feet building is probably the equivalent of one guest bedroom in this 64,000 square foot mansion owned by junk bond billionaire Ira Rennert. Called Fair Field, it is one of the largest private houses in the country and sits on 68 acres of oceanfront property. In addition to the main house, there are several outbuildings, bringing the total of structures on the acreage to over 110,000 square feet. A huge hue and cry was raised by neighbors when Rennert began building the complex. 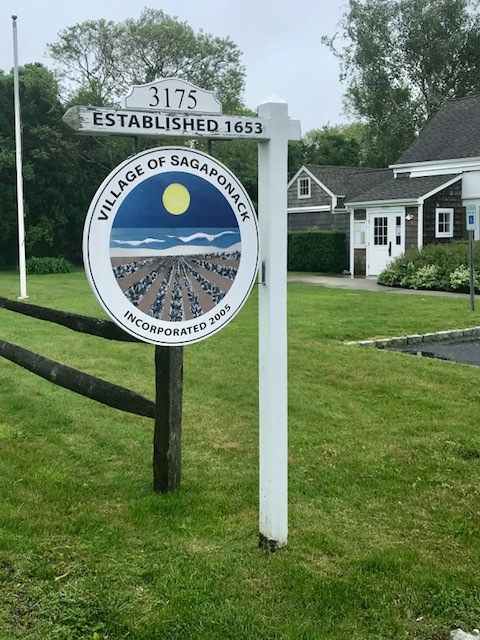 Though they were unsuccessful at halting the construction, the lawsuits did result in new, stricter restrictions on house size in Southampton Township...and to the incorporation of tiny Sagaponack as a separate village rather than just a "Hamplet" of Southampton Town. This is called the Elliptical House, and yes, it is a residence. The house, barn, and dozens of oversized sculptures sit on the grounds of Novas Ark Project, the creation of the late artist Nova Mihai Popa. Situated on 95 acres and fronting an agricultural preserve, the property (though not the house) is often rented for large events and weddings. Chris and I call it "More Input, Stephanie," because we think it resembles the robot featured in the movie "Short Circuit." These are potato barns, and they're purposely designed partway underground because they act as an enormous root cellar, keeping the potatoes naturally cool until they are shipped. Very occasionally you might spot a house that once began as a potato barn and was converted to a private residence. (Extra SSHH points if you do!) To me, potato barns are wonderful iconic structures, and as much part of the Hamptons charm as the villages that draw our visitors. So got your cellphone? Ready to explore? Come visit A Butler's Manor, Southampton's best boutique inn, and we'll help you see parts of the Hamptons that most people miss out on! 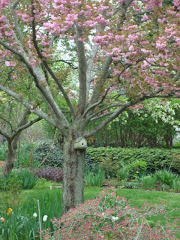 SSHH...best kept secrets in the Hamptons! 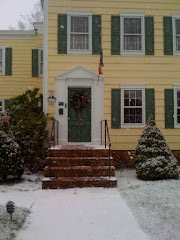 Respite from too much shopping in East Hampton Village? We get two main types of leisure (as opposed to business) visitors here at A Butler's Manor: those who live within about a 100 mile radius and return, often year after year, for a few days each summer, and those for whom a visit to the Hamptons checks off a bucket list item. Long ago, for these latter guests Chris and I compiled an itinerary to aid first-timers in maximizing their visit to our area. It remains popular and we go through several hundred copies each year. We were on our winter sabbatical in California and attending a Jaguar car rally where you were tasked with navigating via landmarks (we won, by the way, yay! 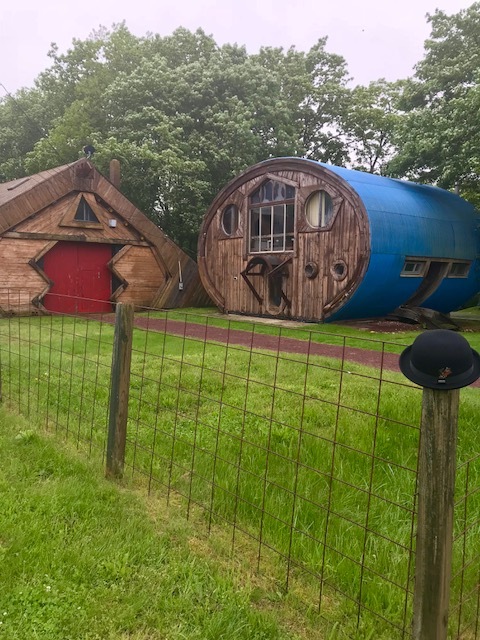 ), when it occurred to me that it would be fun to go beyond the itinerary and offer folks who were so inclined an opportunity to discover some of the fun and funky corners of the Hamptons that make it special to us. And to do it in a way that created a personal photo album of the trip in the process. So we created A Butler's Manor Selfie Scavenger Hunt of the Hamptons (hereafter SSHH). 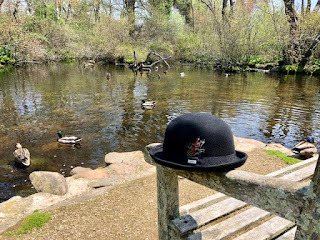 The idea is to find as many of the locations as you can, take a picture of yourself at each, hashtag it #abutlersmanor and post it on social media if you desire...but regardless, experience a broader view of the area than just Montauk Highway and our famous beaches. 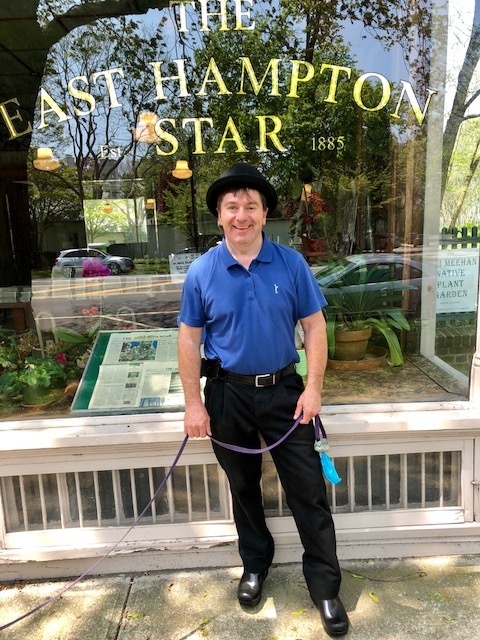 Chris and Sydney were out and about in East Hampton last week, so Chris took one of our bowlers and stopped by some of the SSHH locations. Here's a small sampling of his trip that I'll title "Who's Who Who Was (or is) Here." I wrote about Jackson Pollock and the Pollock/Krasner House a few years back (read it here). 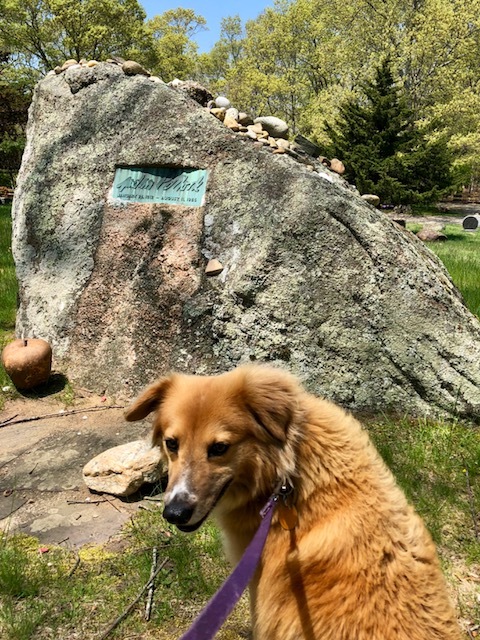 Many people know that Jackson Pollock lived--and was killed in an automobile accident--in the Springs in East Hampton, but you may not know that he is buried here too (as is his wife Lee Krasner). 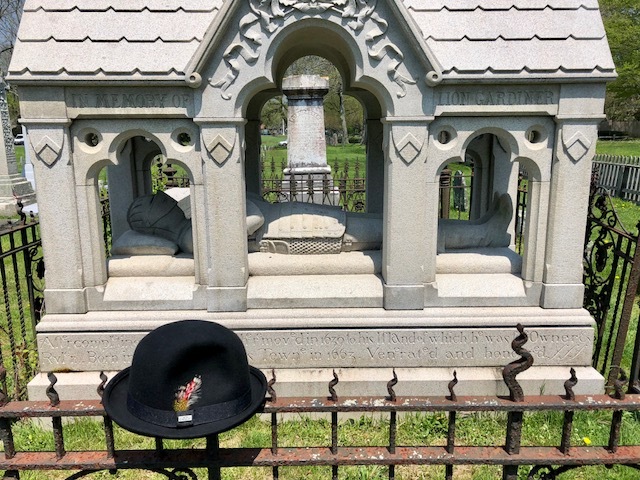 Following his death, Green River Cemetery became famous as an artists and writers cemetery--many of the headstones are works of art in themselves. LongHouse Reserve is a 16-acre sculpture garden founded by textile artist and collector Jack Lenor Larsen. Located in Northwest Woods, there are magnificent lawns and border gardens and a pond, all created with an eye to the display of contemporary sculpture. The Japanese-inspired main house is serene and in harmony with the surrounding gardens. It's open to the public for a small fee on Wednesday and Saturday afternoons, or by appointment. Lion Gardiner was an English soldier who established the first English settlement in what would become the state of New York. 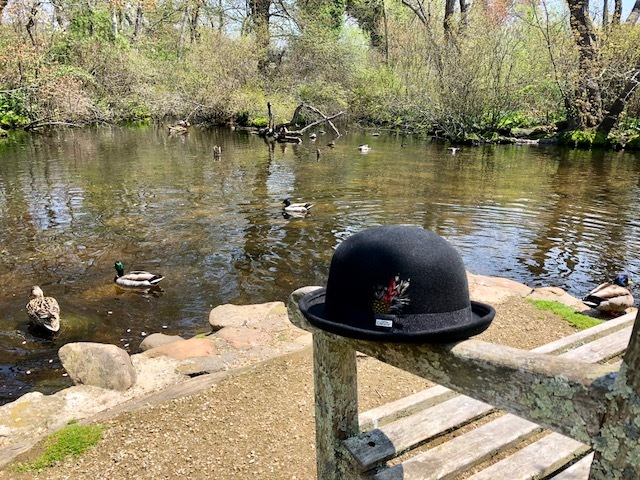 Predating the 1648 founding of East Hampton, Gardiner purchased in 1639 an island off the coast of what is now the Springs and Montauk from the Montaukett Indian tribe. The King of England granted Lion Gardiner a Royal Patent "to possess the land forever," and until the end of the American Revolution, it was not connected with either New York or Connecticut but was an entirely separate and independent "plantation." Nearly 380 years later, Gardiners Island is still owned by his descendants, one of the larger private islands in the USA. So, does this whet your appetite to find some of the lesser-known corners of East Hampton? Come visit A Butler's Manor, our New York Bed and Breakfast, and we'll set you up with the goods!